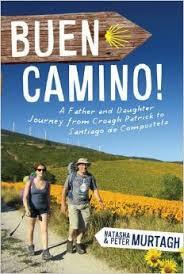 There are literally hundreds of books written on the Camino de Santiago, fiction and non-fiction. Many are written by people who have returned from Spain and want to tell their story. There are also guides, written to help future pilgrims. I usually get recommendations from Amazon and read them on Kindle. Here are some of my favourites. This list is by no means a “best of”. I am sure to have left out many others, so please let me know some of yours. I’m also searching for new reading material. John Brierley’s Pilgrim Guide Books – the “bible” of the Camino. It has some great information about destinations, terrain, albergues. I would seriously recommend you buy this if you are starting your preparations, but don’t follow his lead verbatim. It is your Camino after all!! Details can be found here. Not only do I own the larger edition, I own the maps only guide for the Camino Frances. This can be more useful for those who are more familiar with the route. Details can be found here. 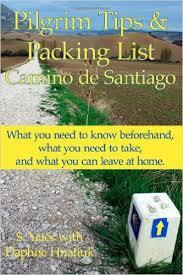 Camino de Santiago – Practical Preparation and Background by Gerald Kelly – Gerald’s guides are fantastic. Not only does he provide a guide about the Camino Frances, but only on the Aragones, Baztan and Via de la Plata. Check out his site here. You can also buy his guide in print form. He goes into great detail about history as well as how to get there and common questions asked. All he asks for in return is €2.00. 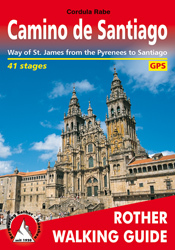 Camino de Santiago – Way of St James from the Pyrenees to Santiago – The Rother Walking Guide – I have used this guide for my previous two Caminos. It was originally written in German and has been translated. It’s becoming popular in recent year, but not near as popular as Brierley. 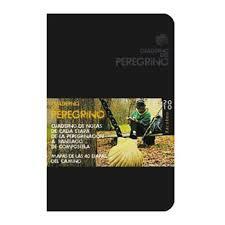 The difference between this and other guides is you are provided with GPS points downloaded to your phone. Details found here. This is the story of an Irish father and his 18-year-old daughter and their 900-kilometre walk together across northern Spain along the ancient pilgrim route to the tomb of St James. Peter and Natasha’s journey starts in Ireland by climbing Croagh Patrick, before setting off immediately afterwards for the Pyrenees in France. There, they start walking the Camino to Santiago de Compostela. I bought this a few years back on Kindle first and then in print. 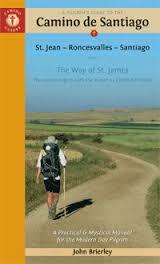 It is one of the more popular books written on the Camino and I would recommend it. Details can be found here. Traveling overseas and backpacking around Europe seemed like an out-of-reach dream for John Clark, until he learned of the Camino de Santiago in Spain, a 500-mile pilgrimage across the country that dates back more than 1,200 years. With encouragement from family and friends, never having traveled outside the United States, the self-proclaimed homebody from Texas hopped on a plane at age 53 alone and headed for the Iberian Peninsula. It wasn’t just the beginning of a month-long journey, but also, as he would discover, the beginning of a new life. Details can be found here. 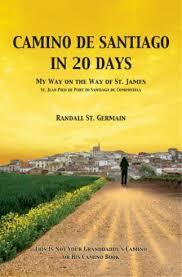 Camino de Santiago in 20 days – My Way on the Way of St James – Randall St. Germain. Camino de Santiago In 20 Days tells of Randall’s journey on the French Way. His walk was not only one of personal enlightenment, but it was also a challenge. He walked an average of 26 miles for 20 days straight. He also carried a backpack that weighed about 30 pounds. 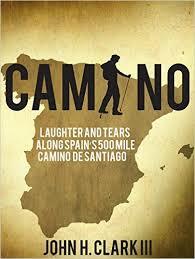 This is a book about really walking the Camino de Santiago, unlike anything presently out there. I found the book funny and entertaining. I wouldn’t encourage anyone to walk the Camino in that time frame however. Details can be found on his blog www.caminomyway.com. 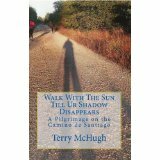 Walk with the Sun Till Ur Shadow Disappears – Terry McHugh – This book is written over the course of two Caminos as the writer cut short his first pilgrimage due to injury. I’m a big fan of this as it is written from the heart and you can really feel it. All proceeds have gone to charity which is another great reason to buy the book. It is partly a journal, a guide and a history book. On reading, any prospective pilgrim will find the story and information helpful. Details can be found here. 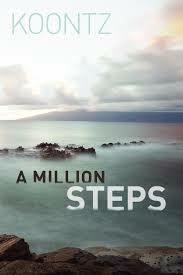 A Million Steps by Kurt Koontz – Kurt Koontz thought he was well prepared for his 490-mile walking trip on the historic Camino de Santiago pilgrimage route in Spain. He was fit and strong. He had a good guidebook and all the right equipment. His pilgrim passport would grant him access to the shelter of hostels along the way. But all that, however helpful, did not begin to encompass the grandeur of his external or internal adventure. A Million Steps climbs over the high meadows of the Pyrenees, quests through the unceasing wind of the Meseta, and dances in the rains of Galicia. While following the yellow arrows that mark the route, Koontz also navigates through his personal history of addiction, recovery, and love. Details here. 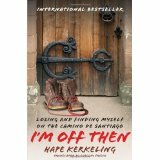 Overweight, overworked, and disenchanted, Kerkeling was an unlikely candidate to make the arduous pilgrimage to Santiago. But he decided to get off the couch and do it anyway. Lonely and searching for meaning along the way, he began the journal that turned into this utterly frank, engaging book. Massive in Germany, the translation in English made this a worldwide hit. The film will be out shortly, I believe Details on the book here. Pilgrim Tips & Packing List Camino de Santiago: What you need to know beforehand, what you need to take, and what you can leave at home – by S Yates. The title tells you everything. The book is a one-stop shop for everything you need to know about packing. There are also some great tips and I can’t see this book leaving any question unanswered. You can buy it on Kindle here. I’m not forgetting the Cuaderno next May, it may even replace my Rother guide 🙂 . Spanish steps…now I haven’t heard that one. I will check that one out. Thanks! Ah see I had decided on the Brierley maps-only guide but it doesn’t fit anywhere where it is instantly accessible. And as much as I love the Rother it is thicker though smaller. The cuaderno fits in my small cross body bag and I have notes in there from the two last walks too. Thanks for reminding me! I can’t see me bringing Brierley again, no matter how good the maps only guide is. The Rother guide is great but tend to use the gps while walking and leave the guide in my bag. I think the cuaderno will be a good option for next time.